Thailand could be the best destination to experience Asia. If you're curious, here are 10 reasons why visit Thailand for your next vacations. there is always a place where the sun is shining and the sea is sparkling. A trip to Thailand would not be complete without trying the diverse array of flavorful and mouth-watering dishes unique to the country. From spicy curries to classics like Pad Thai, Chicken Cashew Nut, and Sweet and Sour, the streets are filled with aromatic blends of delectable treasures. 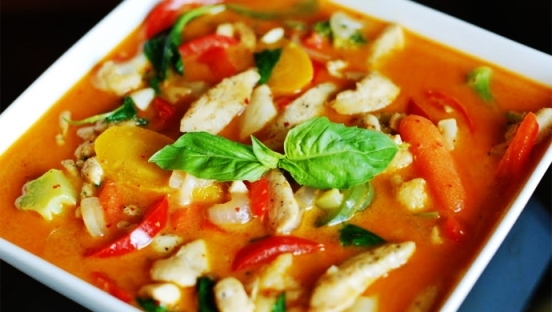 Thai food is also one of most common reasons why travelers visit Thailand. With 95% of the population identifying with the Buddhist religion, it is not uncommon to see locals visiting temples and monks carrying on with their day-to-day in bright orange robes during your stay in Thailand. While most countries in the region have been colonized in the past by foreign powers, Thailand is an exception, and has a culture with few influences from Western colonial powers. Temples, palaces, museums, traditional Muay Thai boxing, and cultural shows abound from Bangkok to the cultural heart of the country, the northern city of Chiang Mai. In Chiang Mai alone, there are over 300 Buddhist temples to visit. Another interesting aspect of Thai Culture is the numerous festivals that take place during the year, the most famous being the Songkran Festival (celebrated in mid April) and the Loy Krathong Festival (celebrated on the full moon of the 12th lunar month, normally November). 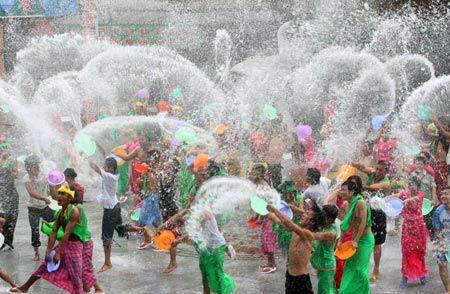 Songkran acts as the New Year celebration in not only Thailand, but also in other Buddhist countries in the region, such as Cambodia, Thailand, Laos, and Myanmar. This festival is celebrated with a very huge water fight, in an attempt to wash away bad thoughts and actions of the Old Year and bring good luck and fortune for the New Year. On the flip side of this boisterous festival is the much quieter and serene ceremony of Loy Krathong, the festival of floating lights on the water and in the sky. The festival has a complex history, but is believed by some to thank the Water Goddess for a bountiful rice harvest and an apology for polluting the waters, while others believe it is a time to “float away” bad thoughts, grudges, and anger, in order to bring good luck. Both festivals offer a chance to witness unforgettable scenes. Thailand is commonly referred to as “the Land of Smiles”, and it’s true, the Thai often have a smile on hand for visitors. Within Thailand, there are around 70 ethnic groups, with 90% of the 68 million population belonging to the ethnic Thais. The Lao, Mon, Khmers, Indians, and Burmese make up a smaller percentage, while numerous ethnic hill tribes, inhabiting the mountainous border areas in the north of the country, are rarely included in population figures. 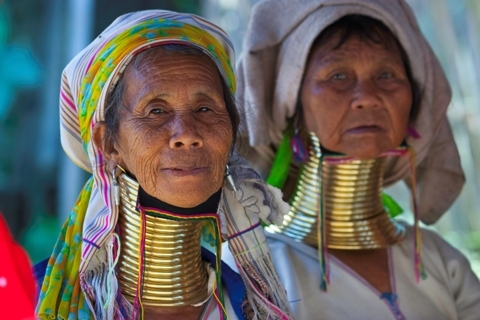 Visiting the north of Thailand can present some superb opportunities to observe a different way of life. As the only country in the Indochinese peninsula to escape Western Colonization, Thailand has a unique history dating back thousands of years, though the modern history of Thailand began with the founding of the Kingdom of Sukhothai in 13th century. Reminders of these kingdoms can be found in the temple complexes of Sukhothai (200 km south of Chiang Mai) and Ayutthaya (90 km north of Bangkok). Another historical tourist attraction in Thailand is to visit the Death Railway and Bridge on the River Kwai in Kanchanaburi, an easy day-trip from Bangkok, to learn more about the railway built by the Empire of Japan to support its forces in Burma using Allied Prisoners of War during WWII. For nature lovers and enthusiasts of adventure sports, the jungles of Thailand are inviting places. A multitude of Thailand’s jungles are located inside national parks, many of which allow camping overnight. The dense jungles outside the national parks can also offer a spectacular set of activities such as zip lining, animal safaris, river rafting, spelunking, and jungle trekking. 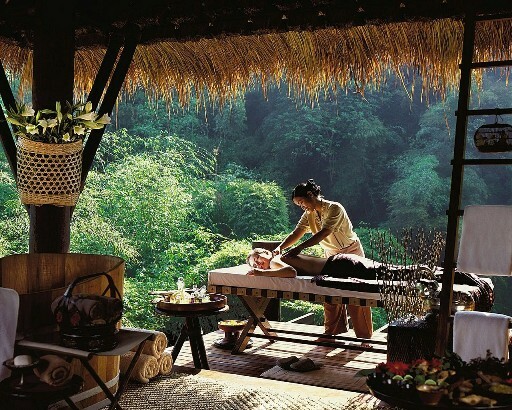 As the birthplace of the famous Thai Massage, Thailand is an excellent place to indulge in very affordable spa care. Massage centers abound, from foot reflexology or aromatherapy to hot stones and the lazy man’s yoga, otherwise known as the Thai Massage. In addition to massages, Thailand is a world-wide destination for yoga, food detox, and meditation retreats, hosted in stunning locales such as Koh Phangan in the south or Pai in the north. No visit to Thailand would be complete without a trip to some of the amazing shopping centers within Bangkok, many of which are of world -class standard. Markets, bargains, and quirky items abound, making a shopping experience very rewarding. A very popular destinations for shoppers in Bangkok is the Chatuchak Weekend Market, the largest market in Thailand, comprised of more than 8,000 stalls and separated into 27 sections. Here you can find antiques, plants, food and drinks, furniture, decorations, clothing, jewelry, books, and animals for sale. While Thailand is more expensive than its neighbors Laos and Cambodia, it is still an affordable location with great deals and value for money. With two main seasons for tourists, travelers will find prices much cheaper during the low season, from May to October, than the high season, from November to April. With its abundance of buses, trains, boats, ferries, and planes, it is also very easy to travel within Thailand in a short and affordable amount of time. Thailand is a great destination all on its own, but can also be combined with other countries for those who wish to experience even more on their vacation. Bangkok is incredibly well-connected via flights to the neighboring countries of Vietnam, Laos, and Cambodia. For adventurous travelers with ample time on their hands looking for cheaper transportation, Cambodia and Laos are also accessible via road by bus or car. In addition to air and land travel, Laos is also able to be reached by train or slow boat.